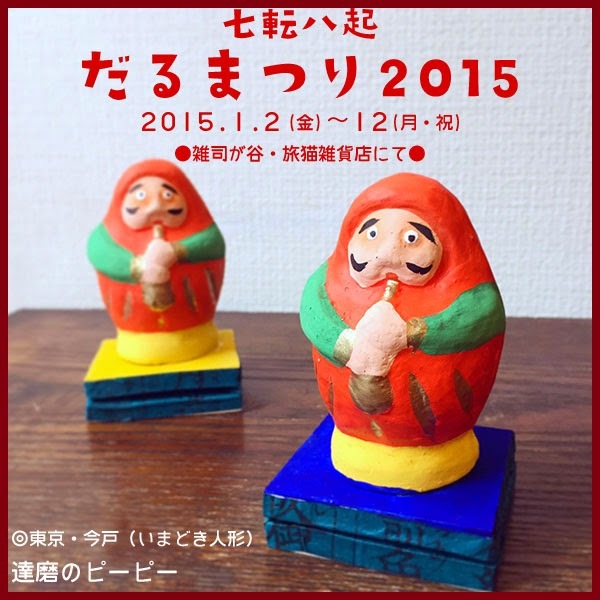 The Daruma Matsuri is held every year in February at the city's Daruma Hall. 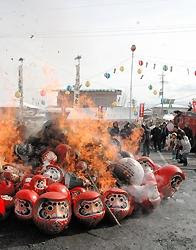 A variety of large and small Daruma dolls are sold at the market and at the same time, the old Daruma dolls are purified by fire during a memorial service. 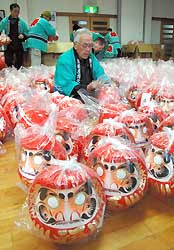 The Daruma Hall is crowded with many people who want to share the good luck of the auspicious Nanakorobi Yaoki Daruma. 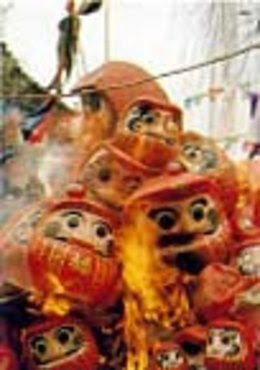 Old Daruma Dolls are burned in the ritual fire and people buy new ones for the New Year. 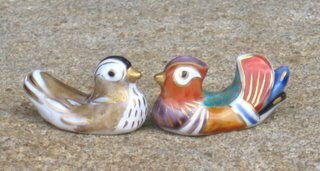 People from Suwa and the Ina Plains of Nagano come here. 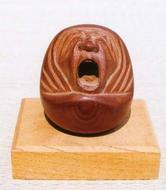 There are 17 different types and sizes of Daruma dolls (of the Takasaki type) and more than 1800 are sold. 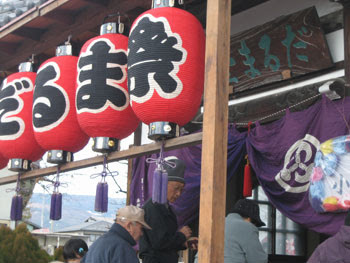 On the first day of the festival, a new eye is painted for Daruma. 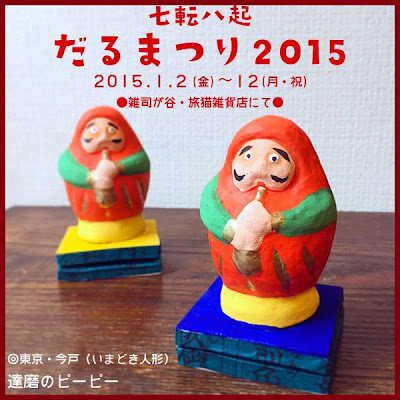 CLICK for more Daruma Festival Photos !